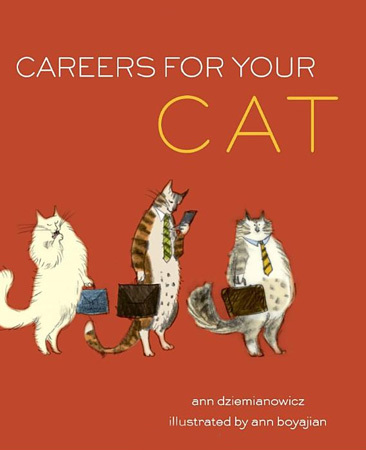 The blog Cat vs. Human is coming out with a book. Though I know I would probably enjoy it, it still reminded me of a few books that I saw on sale at a library a couple of years ago. 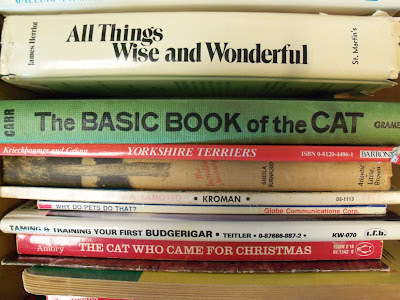 "The Basic Book of the Cat" seems normal at first. Scan down, however. There is also "The Cat Who Came for Christmas." 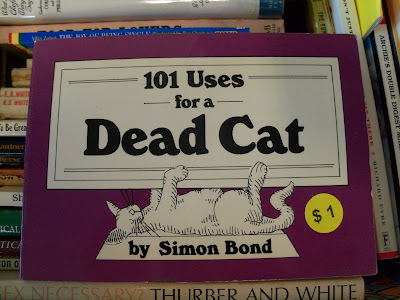 Many a cat book, there were. 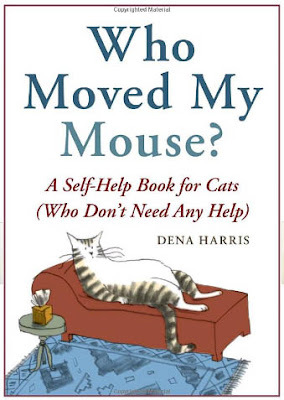 In response to both the pending release of Cat vs. Human and the evidence of other interesting cat books, I did a quick search to see what other cat-related books I could find. Let's start off with a book geared toward humans. Don't know what a cat is? What breed to have? What to feed cats? How to provoke them into scratching you relentlessly? This is the book for you. 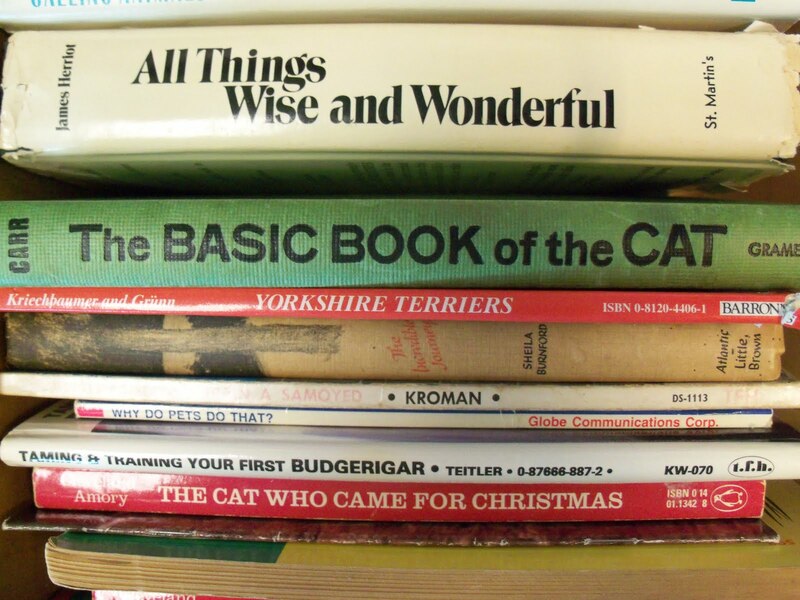 Now, how about some books that are actually geared for your cat? There's, of course, the self-help/motivational book, "Who Moved My Mouse?" After reading that book, your cat will probably want to personally advance its life and purchase this book as a means of research. After a long day of work at its new job, your cat may come home and want a deep-tissue massage to relax its muscles and help it sleep for the remainder of the day. Thank goodness Chronicle Books came out with this publication. 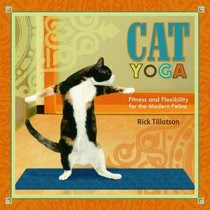 And if that isn't enough, there is always cat yoga. When Ursula Le Guin ran out of actual literature to write, she composed this, a "sleepytime picture book for the youngest cat-nappers." Aching for a more historical approach? 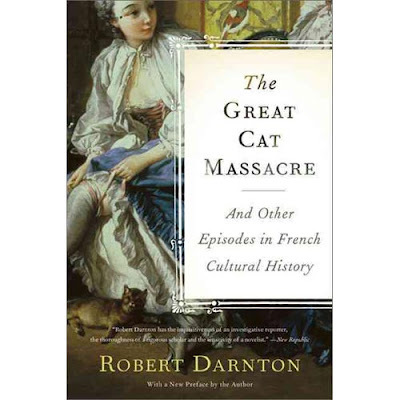 Try The Great Cat Massacre. You'll also learn the answers to other provocative questions such as, "Why did the wolf eat the child at the end of 'Little Red Riding Hood?'" 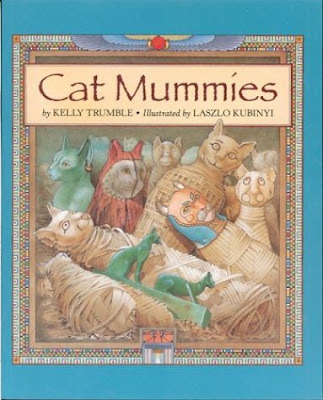 And, while you're reading about how Parisian printing apprentices hanged cats in the 1730s, your children can read about Cat Mummies. Obviously, you'll be in need of more Cat Training Tips if your cat does this. 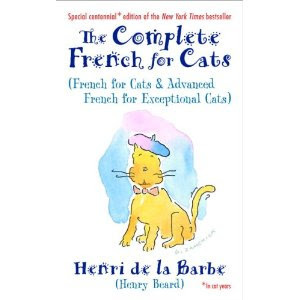 Also, after putting stuff on your cat, you can teach him/her/it/them French! 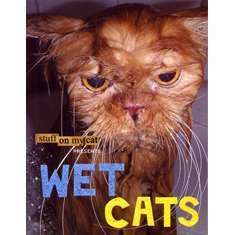 Aaaaaaaaand, from the wonderful people who published Stuff on My Cat, there is also Wet Cats, Bad Cat and I Can Has Cheezburger? And let's not forget the most screwed up of cat books ... The Cat in the Hat. Mayhem, he is. Look at that mayhem-making mammal, twiddling his thumbs. A thumb-twiddler is not to be trusted. 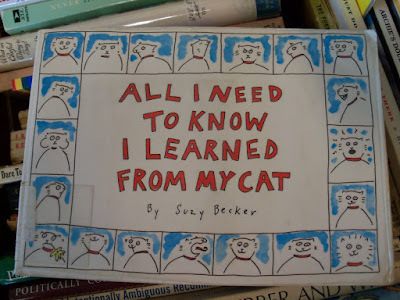 I think you wrote this solely because you knew I would see it and love it because of all the cats. Comment whore. I'm on to you.